Halo Rover vs Epikgo vs Jetson V8: Which Is The Best Off Road Hoverboard? 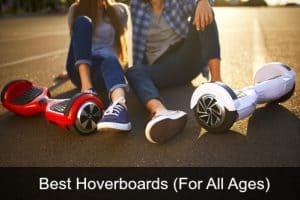 In this article we’re going to compare 3 of the top off road or “all terrain” hoverboards on the market – the Halo Rover vs Epikgo vs Jetson V8. 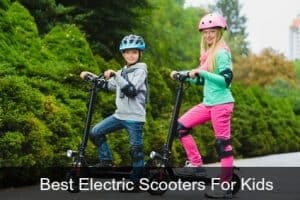 These are different to more traditional self balancing scooters like the Swagtron T1 or the Razor Hovertrax which are designed for smooth pavement or indoor use, in that they can travel over a variety of terrains, including sand, grass, gravel, snow and much more. 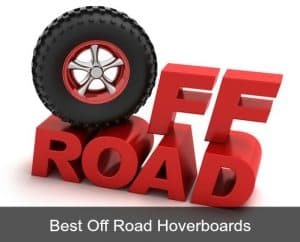 An off road hoverboard is the clear choice for anyone young or old who wants to be able to ride wherever they go, and are especially popular during the holiday season as they make a great gift for all the family. 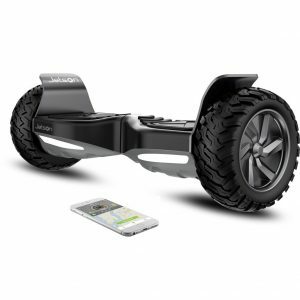 What’s different about an off road hoverboard? Wheel size – it’s necessary for off roaders to have larger wheels to navigate rough terrains. Wheels size is typically 8.5 or 10 inches rather than the usual 6.5 inches of a normal board. Tires – These are solid rubber but are larger, with specially designed with high tread track pads. Motor – the motors need to be more powerful, therefore most will have 400w dual motors as opposed to the 250-350w motors of standard hoverboards. Along with being bigger with all terrain tires, they have a tougher more “rugged” look! Halo Rover vs Epikgo vs Jetson V8 – How Do They Compare? As you can see from the comparison table, these are all very similar when it comes to features and specs. In fact if you look at them closely, they even look almost exactly the same. There are a few fundamental differences though that you might want to take into consideration. All 3 tend to be similarly priced most of the year (usually around the $500-$600 mark) but sometimes you’ll find one reduced when the others aren’t. When it comes to deals, the Halo Rover (which tends to be the most popular) is rarely reduced, I’ve seen the Epikgo drop by around $100 at different times during the year (particularly around Black Friday – Christmas), but the Jetson V8 definitely does the best deals. If you want to start your Christmas shopping early, it’s actually on offer right now – it just doesn’t have the same popularity as the other two (check out the reviews and see for yourself). The only one of these hoverboards that doesn’t have bluetooth capability and built in speakers is the Epikgo Classic. The board has similar features and specifications otherwise, but if you want to be able to play music while riding your board then you may want to go for one of the other two. There are upgraded models of the Epikgo though that DO have bluetooth, but they’re quite a bit more expensive e.g. the Epikgo Premier. They carry a similar maximum weight of approximately 230lbs – 260lbs. Minimum weight for all hoverboards is approximately 44lbs so they’re generally suitable for kids from about the age of 8 up. The Bottom Line: Which Is Best? It’s hard to say which is best because they’re all good in their own way. They’re all solid, durable boards with lots of positive customer reviews. All are based in the US, and have full UL2272 certification so adhere to the industry’s highest safety standard. So how do you choose? 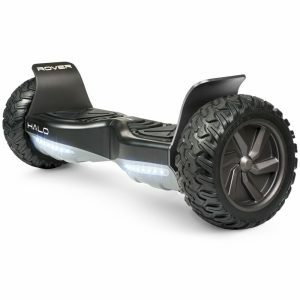 The Halo ﻿﻿﻿Rover tends to be the most popular and is a favorite with many hoverboarders. 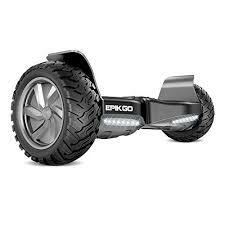 The Epikgo is a great board with impressive customer reviews, however it doesn't have bluetooth or a mobile app which might be an issue. There are Epikgo models though that DO have bluetooth - check out Epikgo Premier, Epikgo Sport or Epikgo Sport Plus. They cost quite a bit more though. The Jetson ﻿﻿V8 has the least amount of customer reviews (it came on the market later than the others), but it's got very similar specs and features to the Halo Rover. 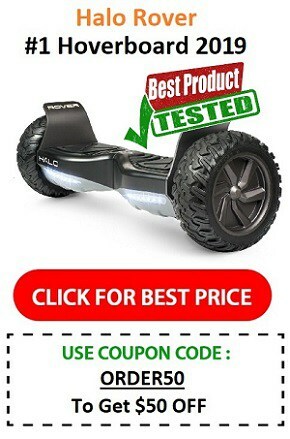 If I was to choose one, I'd definitely go with the Halo Rover which is our top rated hoverboard for 2018 - the reviews for this are just awesome - there's no denying that customers of all ages are loving this board. It's the cream of the crop on the market right now. When it comes to the Halo Rover vs Epikgo, without bluetooth the Epikgo Classic just comes up lacking. Compare it to the Epikgo Premier Series and that's a different story, but then you'll be looking at paying an extra $100-$200 too. When they cost the same, there's no contest - you might as well get the Halo Rover with bluetooth. If the Epikgo is reduced though and you're not bothered about bluetooth then the Epikgo might be the one for you. The Jetson V8 is very similar to the Halo Rover in most aspects but the reviews aren't quite as positive as those for the Rover so it does seem to have some flaws. It's got the best specs for the money!